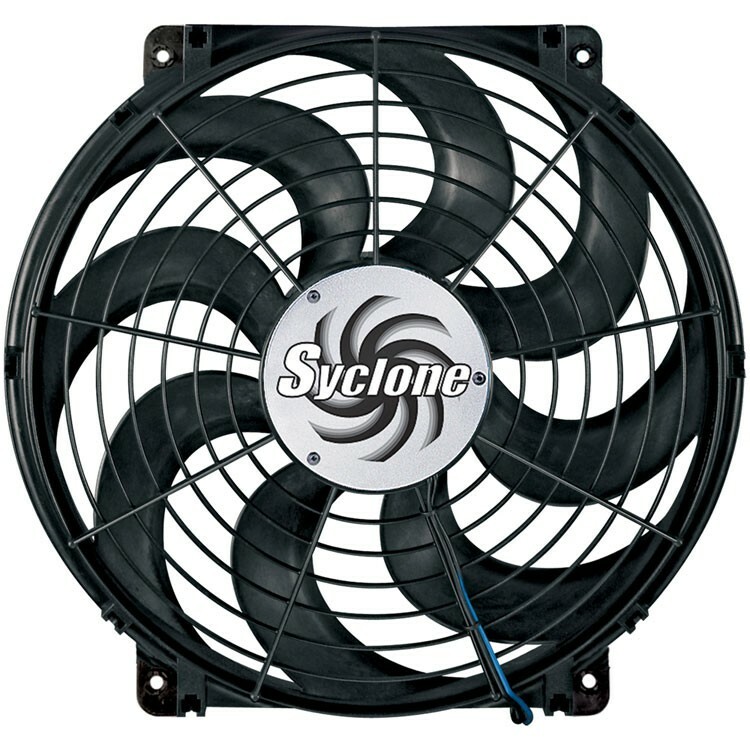 Syclone 2500 CFM auxillary cooling fan. Measures 16 1/2" x 16". Total depth is 4". 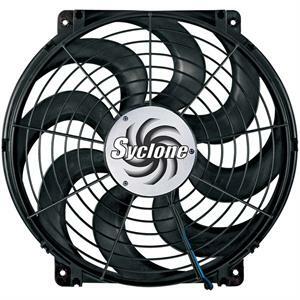 "S" Blade design provides quieter operation than straight blade fans. 17 amp draw. Can be used as pusher or puller.